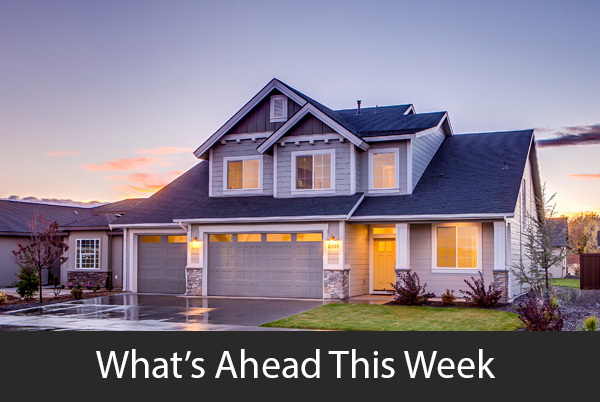 Last week’s economic reports included readings from Case-Shiller housing market indices and data released on new and pending home sales. Weekly releases on mortgage rates and first-time unemployment claims along with the Consumer Sentiment Index for June were also posted. April home prices ticked downward by one-tenth percent for the National Home Price Index, which reported 6.40 percent growth year-over-year. Case-Shiller’s 20-City Home Price Index also dipped by one-tenth percent to 6.60 percent year-over-year. Analysts note that home prices continue to outpace wage growth and inflation, which limits affordability for many prospective home buyers. Seattle, Washington held the top spot on the 20-City Home Price Index with year-over-year home price growth of 13.10 percent; Las Vegas, Nevada followed with year-over-year home price growth of 12.70 percent and San Francisco, California reported home price growth of 10.90 percent year-over-year. New York, New York was the only metro area to report negative home price growth. Analysts said recent tax law changes and a glut of new apartments impacted home prices. Sales of new homes rose in May to a seasonally-adjusted annual level of 689,000 sales. Analysts expected 668,000 sales based on April’s downwardly-revised reading of 646,000 new homes sold. Year-to-date, sales of new homes were 8.80 percent higher than for the same period in 2017. Rapid home price growth has been driven by high demand and limited inventories of homes for sale. Supplies of new homes dipped from a 5.40-month supply in April to a 5.20-month supply of homes for sale. Real estate pros consider a six-month supply of homes an average inventory. Pending home sales dipped in May by -0.50 percent, as compared to April’s reading of -1.30 percent. Low supplies of available homes have sidelined buyers who haven’t found homes that they want or can afford. High demand has created bidding wars and cash buyers in some markets have sidelined moderate-income buyers and those who need financing to purchase homes. Freddie Mac reported lower average mortgage rates last week. Rates for a 30-year fixed rate mortgage fell by two basis points to 4.55 percent. Rates for a 15-year fixed rate mortgage averaged 4.04 percent and were unchanged from the prior week. The average rate for a 5/1 adjustable rate mortgage was four basis points higher at 3.87 percent. Discount points averaged 0.50 percent for fixed rate mortgages and 0.30 percent for 5/1 adjustable rate mortgages. New jobless claims rose to 227,000 first-time claims filed from the prior week’s reading of 218,000 claims filed. Analysts expected 220,000 initial jobless claims. Consumer sentiment fell to an index reading of 98.20 in June as compared to May’s reading of 99.30. according to the University of Michigan. This week’s scheduled economic news includes readings on construction spending and minutes of the most recent meeting of the Fed’s Federal Open Market Committee, Labor sector readings on Non-Farm payrolls, ADP payrolls and national unemployment will also be released. Weekly reports on mortgage rates and new jobless claims will be released on schedule. U.S. Financial Markets will be closed on Wednesday in observance of Independence Day.